Do you let anybody else read your work before you are finished editing? I find it incredibly hard. I always have found it difficult to let anybody read something I have written. My first job involved writing letters in my boss’s name, and getting him to sign them. I used to be so nervous I was afraid to go into his office with the files. Even to this day, when I am preparing something, I do not like to people see the work-in-progress. Whether it is a poem, or a Bible Study, I get nervous when I see someone else reading it. I can sympathise with the woman who went and hid her manuscript in a locked box after submitting it to her publisher, because she was afraid that someone would break in and read it. I really can understand that. However, on a serious note, I think there is value in having somebody look at your work before you declare it finished. 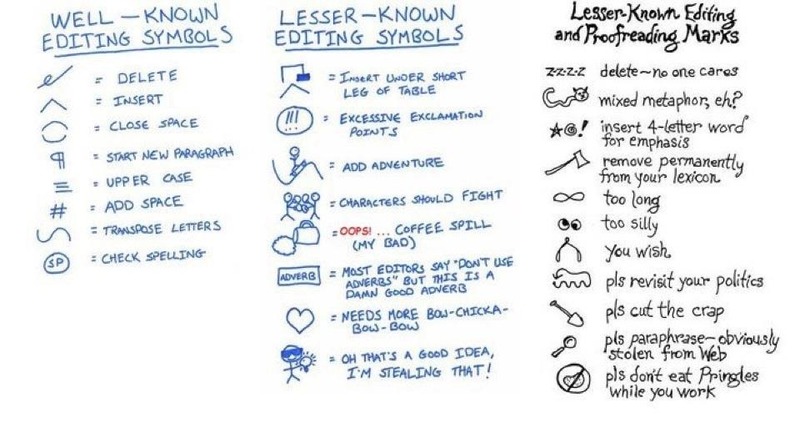 Whether you are editing your own book, or submitting it to a professional editor, I think it is probably a good idea to get some ideas to work from first. So what do you do? Do you prefer to do it all yourself, or do you get input while you are still in the editing stage? So you wrote a novel in November? Now what? You are editing it, right? Just as we spent 30 days writing 50,000 words last November, now we shall spend 50 hours editing them during March. Usually I forget until it is already a week into March, and then just fail in an epic fashion. But this year I am hoping to have some friends along for the ride. Who’s with me? Who is up for a bit of editing madness? I have been trying to decide what to do this year. I wanted to keep the momentum going on my novel, but I also realise that what I wrote last year is a pale shadow of what should be in the book. More like a plot-line than an actual novel. So I have decided to take a break for a while from last year’s project, and re-open an old one; or two. I am taking the half-finished drafts of the novels I wrote in 2005 and 2006 and tieing them together into one. I made the Devil do it, which I gave up in 2006 due to illness, is a fairly compelling story, and I liked where it was going. Only Tuesday, which I gave up in 2005 due to boredom, is pretty crap, but it has a lot of good dialogue and a few workable characters. I will be scrapping the plot (plot? there was a plot?) and working the material into the 2006 one to make it more rounded, then finishing it this year hopefully. Had it not been for NaNoWriMo, I know there is no way I would even have 50 words on my novel, let alone 50,000. The pressure, and deadline, were definitely a strong factor in my finishing, not to mention the support of other writers. Now that it is over, I am really struggling to edit. I am struggling against inertia, fear, laziness, and I suppose a knowledge that there is loads of work still to be done. So what I need is some more pressure. Just as we had National Novel Writing Month in November, we also have National Novel Editing Month in March. A time for writers with an un-edited manuscript to log 50 hours of editing time in one month. Which is fine so far, except that I thought it was in May. Turns out I was wrong; it’s March – Which is 5 days old already. Dare I try? I think I better, otherwise this novel is just going to sit in card format for the next ten years, as I find any number of excuses to not write. So here goes…. Hold the red pens!!!! I’m coming to edit.